Read Part 1 of our mission to Guatemala! The team arrived in Xela late on Saturday night, after a long but entertaining taxi ride. After hearing about our mission, the taxi driver, Tony “Chucholoco,” expressed how glad he was that we wanted to bring martial arts to the children of Xela. Tony was an extremely caring and giving man himself, having adopted a son who had been abandoned by his 13-year-old mother. Tony dubbed us his “California Angels” and became a member of the team. He would, after all, be staying with us until Monday since he was our ride to the airport! Oswaldo and his family welcomed the team into his home, and all went to bed excited for the following day to arrive. When the sun cracked the mountainous horizon of Xela Sunday morning, our team headed into town to buy breakfast for Oswaldo’s village, which consisted of xekas, a sweet bread made by the indigenous Mayans of Xela found almost exclusively in the city’s markets. Once we had all had our fill, it was time for the jiu-jitsu seminar in Oswaldo’s academy. Professor Erik and Coach Oswaldo laid down the mats donated by Professor Lazaro Murcia and invited Oswaldo’s students onto the mat. One by one, the instructors handed out personal uniforms to each of the children. The excitement in the room was nearly indescribable. The kids were overjoyed at receiving their uniforms, such a fundamental step in what we hope will be long journeys in jiu-jitsu. They stood together and posed for photos, now a team in both attitude and in looks. 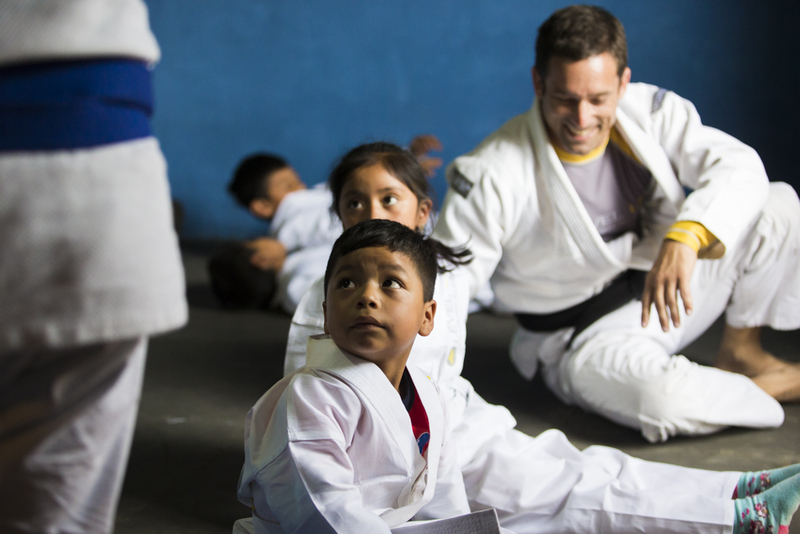 After the uniforms were handed out, Professor Erik revealed a special surprise for Coach Oswaldo, who had spent many years teaching jiu-jitsu to children in the United States before returning to Guatemala. Professor Erik presented him with a Kids Instructor Certificate from the Level Up training system, a milestone Oswaldo was only weeks away from receiving before he parted ways with Erik. When we returned to my house in Xela, it felt like a dream. Professor Erik and the team were gathering and meeting with my family – I have no words to explain how ecstatic I felt. After they met my family, we began teaching the children in my academy. 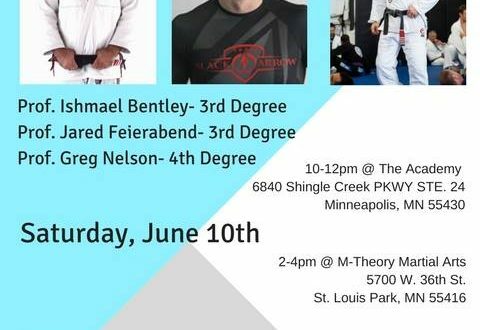 That day, Professor Erik surprised me with a certification to teach Brazilian Jiu-Jitsu to children. He also told me that IJEF was going to donate uniforms and mats to the children of the academy I opened in Xela. Once again, I was so excited and humbled to know the sport I love, that gave me a new perspective on life, that taught me to appreciate and respect others, was giving me the opportunity to help my own people. And when I say my own people, I’m mean the kids, adults, teenagers, men, and women of Xela. I can’t believe I’ll now have the opportunity to impact their life in a positive way. And we at IJEF are so thrilled to help make this community-drive change happen. Thanks for all your hardwork Oswaldo. We can’t wait to see how your academy grows! Check out our incredible galleries, shot by photographer Stephanie Drews, of the seminar in Xela, Guatemala. As a bonus, we also have images of the art created by the kids during Haleh Davoudi’s art class following the jiu-jitsu training!